Tattered and Lost EPHEMERA: BIEN THERE, DONE THAT...Happy New Year! BIEN THERE, DONE THAT...Happy New Year! I may or may not have posted this card in the past. I'll chalk it up to senior moments. And frankly, I can think of other things to do than go back through old posts to find it because seriously, it's worth posting again. 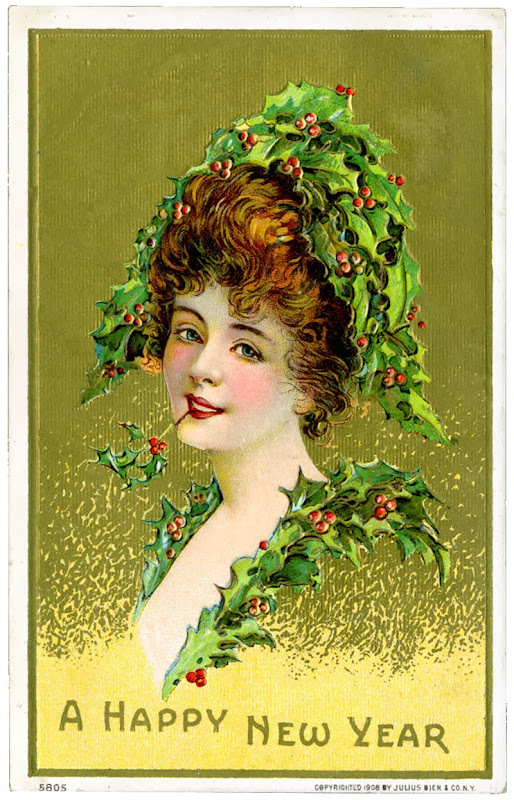 It's a lovely card printed by Julius Bien & Company in 1908 in New York. Mr. Bien died a year later in 1909. How nice that this card has survived so many New Year's. 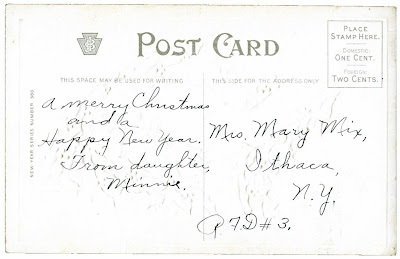 The following is from the MetroPostcard site in New York, always a great source of postcard information. 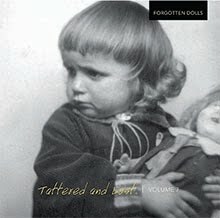 A journey via vintage snapshots through the world of dolls and their owners from the early part of the 20th century to the 1960s. This is volume 7 in the Tattered and Lost Vernacular Photography series. 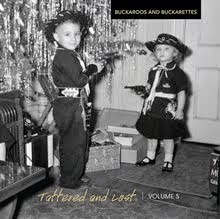 Tattered and Lost: Buckaroos and Buckarettes is a collection of vintage snapshots for those who remember riding the range when they were kids. 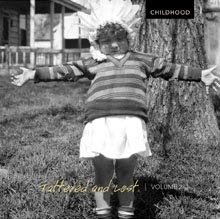 These adventures usually consisted of sitting in front of a black and white television or running around the neighborhood with our shiny six-guns strapped to our sides. Our imaginations created entire worlds that never existed. We sang along with our heroes, convinced that with a song in our heart and a six-gun on our hip we could vanquish evil. This book is dedicated to all the other buckaroos and buckarettes who rode their imaginations into the sunset while humming Happy Trails. Collecting vintage photographs starts out innocent enough with a few snapshots here and there, but at some point it becomes a bit more obsessive and you find yourself longing for the next image that makes you laugh or ponder the irrefutable confusion of being human. 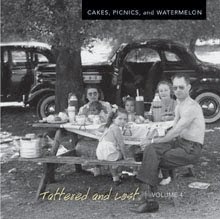 This book, Tattered and Lost: Cakes, Picnics, and Watermelon, the fourth in a series, shows the quirky world of sharing food from the 1890s to the 1970s in the United States. Sit back and enjoy watching people cut cakes (some people do it with such style! ), go on picnics without your relatives, and watch people eat watermelon. Yes, eat watermelon. An odd category for sure, but one sure to make you smile. 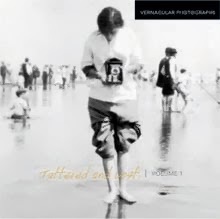 Tattered and Lost: Vernacular Photographs, is volume 1 in my self-published books showing photos from my collection. Photographs play off each other on facing pages asking the viewer to come to their own conclusion as to what they are looking at. Included is a photo of the Pennsylvania Railroad S1 steam locomotive, designed by Raymond Loewy, on display at the 1939 New York World’s Fair. And one of the few known copies of a photo taken by Rudolph D’Heureuse in 1863 proving there were indeed camels used by the U. S. Cavalry is included. So take a step back in time and visit with some folks who long ago smiled and said “cheese” never knowing how long those smiles would last. Looking for a blog that makes watching paint dry seem exciting? Click to experience everything but the fumes. 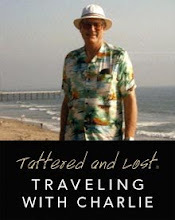 WHAT IS TATTERED AND LOST EPHEMERA? Tattered and Lost EPHEMERA is about some of the items in my collection including: letters, postcards, valentines, menus, recipe books, children's books, magazines, greeting cards, paper dolls, vernacular / found photos, and whatever odd things I find stuck in the nooks and crannies of this house. 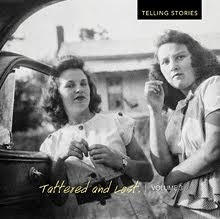 This site is affiliated with Tattered and Lost PHOTOGRAPHS. So much paper, so little space.